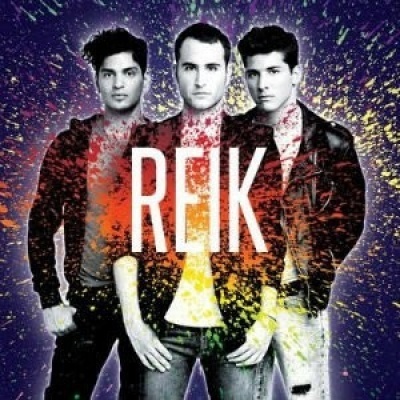 Recorded in the remote Texan town of Tornillo, Mexican pinup trio Reik slightly deviate from their usual Latin pop/rock formula by jumping on the retro synth pop bandwagon for their fourth album, Peligro. Produced by Cachorro López (Julieta Venegas), Kiko Cibrian (Luis Miguel), and Ettore Grenci (Kalimba Marichal), the follow-up to 2008's Latin Grammy-winning Un Dia Mas still contains the driving MOR anthems ("Déjate Llevar," "No Te Quiero Olvidar," the latter of which also appears in an English-language version) and romantic ballads ("Creo en Ti," "A Ciegas") that have helped them to slowly build a following across the southern parts of the U.S. as well as their homeland. But elsewhere, its 16 tracks showcase a more adventurous streak lacking from their previous output, whether it's the dirty acidic basslines and funky guitar licks of the infectious title track (also featured here in a perfunctory Masterfrenc Remix), the shimmering Guetta-esque synths of the pulsing "Tu Mirada," or the melodic indie disco of "Irreversible." The quirky Howard Jones-esque electro-pop of "Cálido y Rojo" (one of two tracks penned by Miranda! 's Ale Sergi), the Spandau Ballet-style melodramatics of "Déjame Ir," and the chiming U2-inspired riffs on "Si Te Vas" suggest that a Now That's What I Call the 80s compilation may have been the catalyst for their change in direction. But it's ultimately a convincing one, and while its nearly hourlong running time could have done with a bit of trimming (particularly the unremarkable "Mi Tormenta Favorita" and "Adicto a Ti"), Peligro should ensure that their steady rise to the top of the Mexican pop scene remains on course.